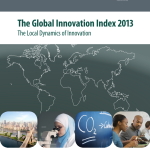 The Global Innovation Index 2013 (GII) in its 6th edition this year, is co-published by Cornell University, INSEAD, and the World Intellectual Property Organization (WIPO, a specialized agency of the United Nations). Booz & Company, the Confederation of Indian Industry, du, and Huawei support the elaboration of the GII as Knowledge Partners in 2013. Australia’s innovation performance improved from 23rd (out of 141 countries) in 2012 to 19th in 2013 (out of 142 countries). Within this, Australia ranked 11th for Innovation Input, 32nd for Innovation Output, and a lowly 116th for Innovation Efficiency (its input/output ratio). In 2011 Australia scored 21st out of 125 countries. 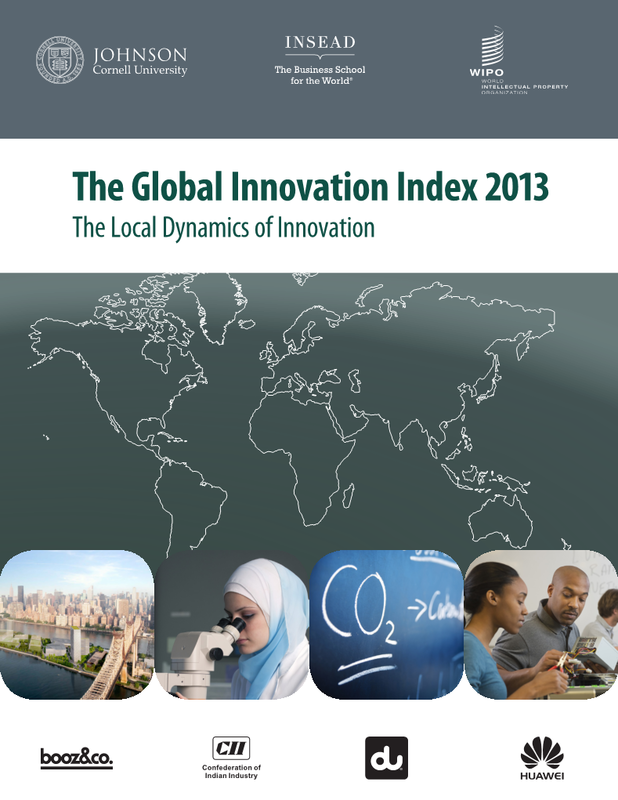 Over the course of the last six years, the Global Innovation Index has established itself as a leading reference on innovation for researchers and for public and private decision makers. It has evolved into a valuable benchmarking tool to facilitate public-private dialogue. The GII recognizes the key role of innovation as a driver of economic growth and prosperity, and adopts an inclusive, horizontal vision of innovation applicable to both developed and emerging economies. Posted in Economy, Global, Innovation, Productivity, Technologies and tagged Cornell University, Global Innovation Index, INSEAD, United Nations, World Intellectual Property Organization.